In addition to covering the “who, what, and where” of FCPA enforcement actions, news, and related topics, FCPA Professor also explores the more analytical “why” questions increasingly present in this current era of aggressive enforcement. By injecting a candid and informed scholarly voice into the issues, FCPA Professor fosters a forum for critical analysis and discussion of the FCPA and related topics. Consistent with this mission, FCPA Professor frequently publishes guest commentary on the FCPA and related topics. FCPA Professor was created by Professor Mike Koehler in 2009 and is owned by FCPA Professor LLC. FCPA Professor is complimented by this Twitter feed (named a top 15 Twitter feed all securities and corporate litigators should follow); this YouTube channel that provides video content regarding the FCPA and related topics; and this Scribd page which contains hundreds of hard to find FCPA documents. 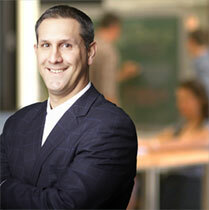 Professor Koehler is the founder and editor of the FCPA Professor website. Professor Koehler’s expertise and views are informed by a decade of FCPA practice experience at a leading international law firm during which he conducted FCPA investigations around the world, negotiated resolutions to FCPA enforcement actions with government enforcement agencies, and advised clients on FCPA compliance and risk assessment. His FCPA insights are further informed by having read and analyzed: the FCPA's entire legislative history, every FCPA enforcement action, every FCPA judicial decision, and other information and sources of guidance relevant to the FCPA. Leading law reviews, journals and other publications have published Professor Koehler’s scholarship (all of his writings can be downloaded here) and he is also a frequent featured source on the FCPA and related topics in various media including the Wall Street Journal, New York Times, Washington Post, The Financial Times, Reuters, The Economist, Time, National Public Radio, CNN, BBC, and Al Jazerra. From a former Attorney General, to law firm partners in the U.S. and abroad, to in-house counsel and compliance professionals, to professors and students, to journalists and others - read what others "like" about FCPA Professor. "The most authoritative source for those seeking to understand and apply the FCPA". "FCPA Professor is the Wall Street Journal concerning all things FCPA-related." "I find FCPA Professor to be very useful because it contains up to the minute information concerning the FCPA and has timely and updated resource materials. It is the only website of its kind on corruption in international business." "FCPA Professor should be regular reading for any compliance professional. Professor Koehler offers insightful and at times provocative commentary on anticorruption enforcement that takes the public discourse to a higher and more thoughtful level." "FCPA Professor is by far the best and most comprehensive resource for FCPA related information that I have found anywhere. I appreciate Professor Koehler's thoughtful analysis and probing questions on the subject and highly recommend FCPA Professor." "As a journalist who does not exclusively cover the FCPA, I find Mike Koehler's FCPA Professor Blog to be very helpful, informative and insightful." “As a law student studying international anti-corruption, I check FCPA Professor every day. Professor Koehler’s commentary forces me to consider FCPA issues from all angles and it is a valuable resource for up-to-date information regarding all things FCPA." "FCPA Professor offers a unique perspective to the international community working in the FCPA / anti-corruption field. No matter where you are in the world or in what legal system(s) you practice, FCPA Professor is a site to check every day to keep yourself updated." "FCPA Professor provides those of us who do not exclusively practice in this area valuable information on FCPA cases and a straightforward explanation of the issues involved in FCPA enforcement." FCPA Professor is intended for public discussion of issues related to the FCPA and related topics. You should not use FCPA Professor as a substitute for specific, fact-based legal advice as to any FCPA issue. The topics discussed on FCPA Professor do not constitute legal advice and no attorney-client relationship is formed by visiting FCPA Professor, by leaving comments on this site, or by emailing Professor Koehler. If you do contact Professor Koehler via e-mail or otherwise, no assurance is given that receipt of your information will be secure or treated as confidential.